In addition: Invitation for SCF students & staff to sign up for Oral Histories (record their stories related to their Hispanic heritage) throughout the month. NOTE: The room has limited capacity and the event is mainly for SCF students. Artwork display by SCF Collegiate School students. Posters will be displayed in the Library's lobbies. 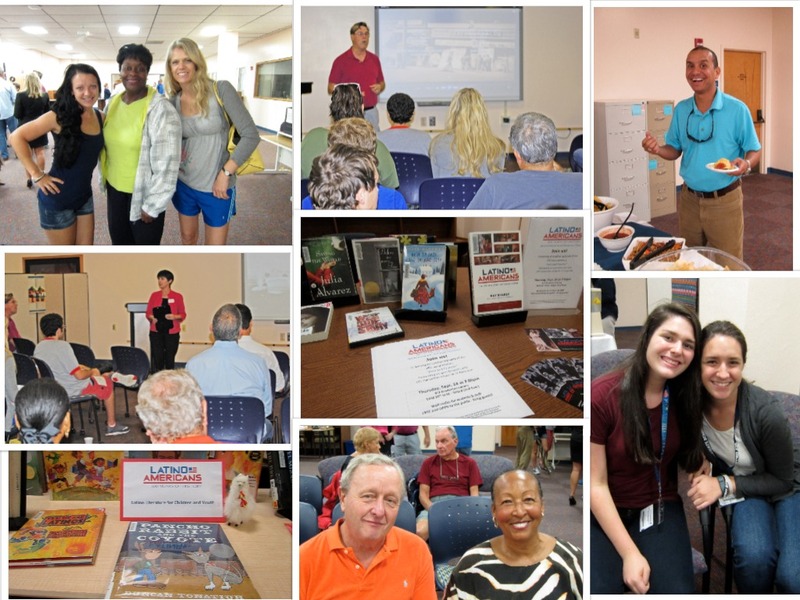 As part of a series of events on the history of Latino Americans, the SCF Libraries hosted two scholar-led viewing and discussion events that featured the documentary film "Latino Americans," supported by an NEH grant and created for PBS by the WETA public television station. The second series of events consisted of oral history interviews with local families and SCF students who have immigration stories. We invited immigrant families from our Sarasota and Manatee communities to be part of these conversations! Read more about it on this page and sign in to participate! We are still taking applications. On March 18th, 2016, we hosted a Night of Storytelling (a "Noche de Cuentos") for families, with storyteller Carrie Sue Ayvar. Check out our photos and more information here. Latino Americans: 500 Years of History, produced by the National Endowment for the Humanities (NEH) and the American Library Association (ALA), is a nationwide public programming initiative that supports the exploration of the rich and varied history and experiences of Latinos, who have helped shape the United States over the last five centuries and who have become, with more than 50 million people, the country's largest minority group. * to bring awareness to the entire community of the diverse cultures that coexist in our Manatee-Sarasota general population and foster understanding among them.